Full Day Husky safari in Ylläs, Finnish Lapland. Join the full day husky adventure with our lovable and hard working Alaskan huskies. Enjoy a full day husky safari in the northern wilderness. 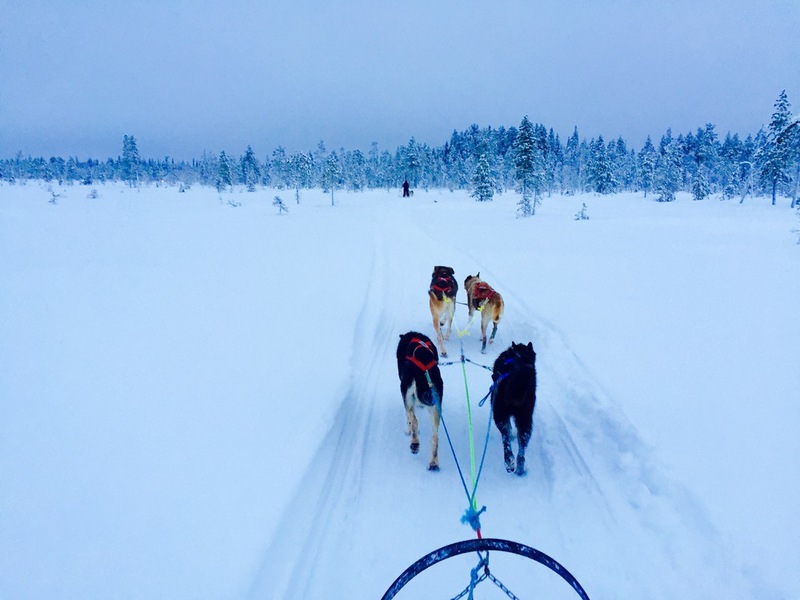 Mush your own team of Alaskan huskies through the snowy landscape. The whole day husky tour was one of the best experiences we ever had! We could definitely feel that Juho - the owner & guide - is living his profession and this gave us an amazing insight into the ‘musher-world’. The tracks he prepares, the guidance he gives and expertise he has - besides the astonishing weather and scenery of January Lapland (winter wonderland) - have made this day very special and unique! We’ll never forget this awesome tour and whish Juho all the best for his family and huskies! Maybe (if not even for sure) we’ll come back and do a two or even five day tour! When you come to Husky Ranch Lapland you will be greeted by your guide and the other owner of the ranch, Juho. After driving instructions you are ready to meet your team of well-trained Alaskan huskies! You will follow the guide one after another, you are all driving your own sleds pulled by 3-4 dogs. The trail heads first south of the Kurtakko village, you take a peek at Europe's biggest wetland Teuravuoma and then you start heading east to old taiga forests. At the halfway point it's time to take a good break. The dogs get their halfway price first - frozen meet snacks! After this you will be served delicious lunch by an open fire! When the break is over its time to head back to the kennel along a scenic route. After the safari you will have plenty of time to say goodbye to your eager team mates. Before heading back to the resort there is still time for a cup of hot chocolate at the Ranch!